These lyrics of Joni Mitchells song “For Free” is my metaphor for a looming missed opportunity for Seattle of recapturing 2.75 acres, 120,000 square feet, seven blocks of covered downtown waterfront open space in downtown Seattle. You see, filling this unique public open space eliminates a connected part of our new Waterfront for All, with construction waste material is a pass on exceptionally good urbanism. More, it is sublime stupidity. The future value of the 120,000-square foot Battery Street Tunnel is greater than landfilling with construction waste. Property values of $1,200 to $2,000 per square foot in Seattle’s highest-density neighborhood fixes the tunnel’s value at $133 million to $240 million. Exploring opportunities for positive social and environmental benefit will take time to study, design and fund. Belltown leaders and Seattle’s design and arts community are willing to work with the city transportation department and the Mayor to identify opportunities for economic development and public amenities. We want to make the most of this existing asset. Imagine the tunnel as an “Inside/Out/Upside/Down Highline” and other projects around the world. Conserving the tunnel now buys us time to design and fund changes in the future through public and private partnerships. This contextually rich covered public open space could weave bikers, walkers, a covered open market spaces, art, and a plethora of many ideas. Let’s not let a wasted opportunity become a lost opportunity to invest in public open space exactly where it is needed, in our waterfront urban core. We have a once in a lifetime opportunity to secure and mothball the tunnel and look at many public open space opportunities. This future urban tapestry can be open space, biking and walking connections water conservation, any number of woven threads but we will never get to this stage unless we secure this urban public open space opportunity now. Healthy cities reuse their tunnels. Note the following reuses in London’s Underground’s abandoned transit tunnels. Camden Town, London tunnel reused as an underground market. Please join us in this community building, social revenue benefit generating enterprise and help “kill the fill” for a future recharge of the battery. Please get involved and share these contacts: To find out more, go to RechargeTheBattery.org and to sign the petition. We’re also on Facebook, so feel free to follow us. Paul is on the “Recharge the Battery” advisory committee. His professional experience is broad based inclusive of; landscape architectural design offices, an international aerospace industry and municipal government. As a licensed Landscape Architect, member of the American Society of Landscape Architects, and a Masters in Whole Systems Design, Paul has over thirty years of professional design in the private and public sectors. 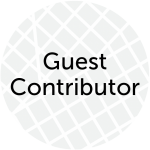 The Urbanist encourages dialogue on important urban issues through guest contributions. Over the years, we've had dozens of guest authors share their opinions and insights ranging from commentary on current events to community interviews and researched think pieces. If you would like to see your name behind a byline on The Urbanist, feel free to reach out to our Editorial Team at editorial[at]theurbanist[dot]org. Could the Interbay Armory Become a Mixed-Use District? How about homeless housing/neighborhood….very temperate weather down there. 2. Terminus for the Metro 8. A hypothetical light or rubber-tyre rail connecting Belltown, SLU, and Capitol Hill via Denny is really appealing, and the tunnel provides a decent last-mile connection into Belltown. However it’s not clear what could be done with the tunnel while the Metro 8 looks for funding, as it doesn’t really make sense for any bus route or streetcar extension. Plus, a Metro 8 might be more efficiently served by a Capitol Hill to Seattle Center gondola than a train.